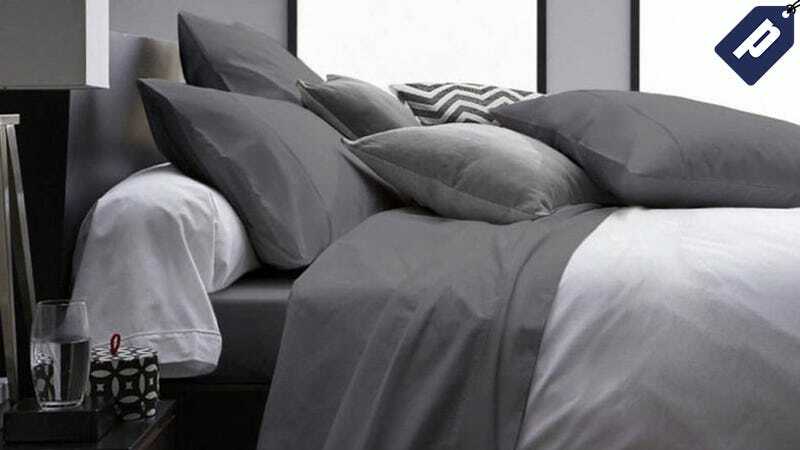 Good sheets are essential for a comfortable night’s sleep, and if you’re in the market for a new set, check out the Ultra Soft 1800 Series Bamboo Bed Sheets from Royal Boudoir. They’re made from eco-friendly bamboo yarns and high-strength microfiber for extra softness and comfort. Right now, you can pick up a set in your choice of size and color for just $30. This set comes with 1 flat sheet, 1 fitted sheet, and 2 pillow cases, and comes in your choice of grey, white, or ivory. Full, Queen, and King sizes available. Grab yours today at the link below.